HALEDON — On the website for Dr. Goodnight’s Center for Everlasting Beauty, board-certified physician James Goodnight calls himself an expert in rejuvenative medicine. Offering services that range from skin tightening and cellulite reduction to fat redistribution and plastic surgery, the 51-year-old graduate of Tufts University School of Medicine includes photos of himself pumping iron. Today, however, the state Board of Medical Examiners said Goodnight’s anti-aging clinic in North Haledon had a steroid problem. The state said Goodnight provided steroids to patients without full examinations or ensuring adequate patient care. It also said he provided prescriptions to himself and family members without creating detailed medical records, failed to safeguard the use of his prescription pad and allowed an individual who was not a licensed doctor to participate in the care and treatment of patients. The board suspended Goodnight for six months and ordered him to undergo ethics training. Goodnight’s attorney, William Volonte of Newark, said the physician voluntarily ceased his bio-identical hormone practice before signing a consent order with the state medical board and agreed to its terms without admitting or denying the allegations. "He looks forward to resuming his successful practice in the area of cosmetic surgery in 2014, and he is completely committed to full compliance with all of the Board of Medical Examiners’ requirements," Volonte said. Goodnight was among a number of physicians profiled in a Star-Ledger series in 2010 on the secret world of steroid use by law enforcement officers and firefighters. At the time, he told the newspaper his patients included about 50 police officers and firefighters. At the time, he was not accused of any wrongdoing. Acting New Jersey Attorney General John Hoffman, in announcing the suspension, said testosterone and other steroids are surging in popularity as purported anti-aging treatments, leading to concerns about whether doctors are truly weighing their known risks and providing clear information to patients. "New Jersey is taking action to make sure doctors follow our rules for the protection of patients and the practice of good medicine," he said. In February, the Board of Medical Examiners expanded New Jersey’s regulation on the prescribing of anabolic steroids and human growth hormone, with new rules requiring that a practitioner can only prescribe them when there is a "bona fide relationship with the patient, and after obtaining the patient’s full medical history, performing a full medical examination, and examining a valid medical need for such drugs." 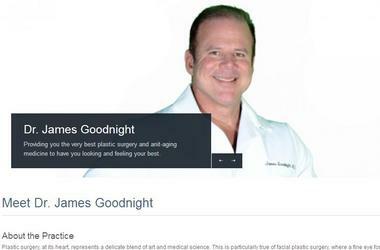 Goodnight’s medical practice offered both cosmetic surgery and anti-aging treatments, as well as hormones, including testosterone, according to the state Division of Consumer Affairs’ Enforcement Bureau. In the consent agreement, Goodnight agreed to the six-month suspension, followed by a 2 1/2-year probationary period. The board also required him to complete three approved courses in ethics; medical record keeping; and basic blood analysis and physical examinations. In addition, he must hire a monitor to submit monthly reports on any new prescribing of anabolic steroids from his office, and will be required to pay $56,675 in civil penalties and investigative costs. The New Jersey Attorney General’s Office has made an effort for suspending the medical license of Roger Lallemand Jr., an Old Bridge doctor who indiscriminately prescribed pain pills andanabolic steroids to his patients. The doctor was termed as a “clear and imminent danger to the public” as he wrote prescriptions for thousands of powerful painkillers, including OxyContin and Roxicodone. In some cases, the complaint states, Lallemand continued to prescribe the drugs despite evidence that the patients were selling or trading the pills. At the same time, he regularly pushed prescriptions for testosterone, an anabolic steroid, telling an undercover investigator with the U.S. Drug Enforcement Administration that he offered it to all of his patients, according to the document. Lallemand’s “conduct as a physician unequivocally rises to the level of public danger,” Deputy Attorney General Carla Silva wrote in the complaint, a copy of which was obtained by The Star-Ledger. “Respondent’s extensive measures to deceive the board demonstrate a lack of moral character and unequivocally constitute professional misconduct,” wrote Silva, the deputy attorney general. NEWARK – Highlighting New Jersey’s ongoing fight against the prescription drug abuse epidemic, Acting Attorney General John J. Hoffman and Consumer Affairs Director Eric T. Kanefsky today announced actions against a second round of New Jersey doctors who illegally sold prescriptions for highly addictive painkillers or steroids. The five doctors named in this round of actions practiced in Camden, Gloucester, Hudson, and Monmouth counties. Each has been criminally convicted in federal or state court of illegally selling prescriptions for Controlled Dangerous Substances (CDS). Four of the doctors sold prescriptions for opiate painkillers; the fifth sold prescriptions for anabolic steroids. Director Kanefsky this week initiated actions to prohibit the doctors from ever again being able to prescribe CDS in New Jersey, even if the State Board of Medical Examiners should one day reinstate their medical licenses. The announcement follows similar action Kanefsky took in October against 12 doctors (seewww.njconsumeraffairs.gov/press/10032013.pdf). Physicians obtain their medical licenses through the New Jersey Board of Medical Examiners. But no licensed physician may prescribe CDS without a CDS registration, granted by the Director of the State Division of Consumer Affairs. Revocation of a physician’s CDS registration provides an extra layer of protection to the public, should the revoked doctor ask the Board of Medical Examiners to reinstate his or her medical license. Even if their license to practice medicine is one day restored, the doctor would still need to apply to the Consumer Affairs Director for reinstatement of his or her revoked CDS registration. The doctor would be required to make a clear and detailed demonstration as to why reinstatement of the CDS registration would be in the public interest. In the cases of the following five doctors, Director Kanefsky issued Orders to Show Cause as to why their CDS registration should not be revoked. The Orders set hearing dates in approximately 45 days. Prior to the hearing, each doctor must provide a written explanation as to why his or her CDS registration should not be revoked. Failure to respond may result in the matter being considered in the doctor’s absence. Following the hearing, the Director may issue an order suspending or revoking the doctor’s New Jersey CDS registration. Richard Lucente, who practiced in Middletown and in Staten Island, New York. Lucente allegedly conspired with other defendants at New York Anti-Aging and Wellness Medical Services, in Staten Island, to illegally sell prescriptions for CDS, including anabolic steroids and various forms of testosterone, to male patients, according to information included in the Order to Show Cause. Lucente also allegedly instructed the patients to fill the prescriptions at a Lowen’s pharmacy in Brooklyn, and received payments from the pharmacy in exchange. According to documents filed with the New York Board for Professional Medical Conduct, Lucente allegedly prescribed steroids and human growth hormone (HGH) to a bodybuilder who had previously had a heart transplant and was on various anti-rejection drugs; steroid abuse allegedly contributed to the bodybuilder’s subsequent death from cardiogenic shock. Lucente also allegedly prescribed steroids and HGH to a patient who had increased lipid levels due to steroid abuse. He allegedly prescribed more than 380 steroid or HGH prescriptions in a one-year period, all of which were filled at the Brooklyn pharmacy that in turn allegedly paid a kickback to a company owned by the physician. Lucente allegedly engaged in the conspiracy from December 2004 through September 2007. Lucente pleaded guilty in New York State Supreme Court in Kings County, and in March 2010 was sentenced to five years’ probation and 200 hours of community service. The New Jersey Board of Medical Examiners revoked Lucente’s license in May 2010. Robert H. Moss, a podiatrist who practiced in Williamstown. Moss allegedly prescribed oxycodone without a legitimate medical purpose from May 2008 through December 2009. Moss pleaded guilty in July 2011, in the U.S. District Court of New Jersey, to illegal distribution of oxycodone. He was sentenced to 60 months in federal prison. The Board of Medical Examiners temporarily suspended Moss’ license in December 2009 and revoked his license in November 2011. Pravin Vasoya, who practiced in Sewell. According to information included in the Order to Show Cause, Vasoya allegedly sold multiple CDS prescriptions out of his car, at various locations including a Pep Boys parking lot in Turnersville and a Target parking lot in Mount Laurel. The buyer on those occasions was an undercover Washington Township (Burlington County) Police detective, who was acting as part of a U.S. Drug Enforcement Administration task force. During those transactions in April and May 2008, Vasoya allegedly sold nine prescriptions for OxyContin and Roxicodone in exchange for $8,000. He allegedly wrote the prescriptions for four different patient names, and directed the undercover detective to provide him with driver’s license copies of the four individuals, in order to create fake patient profiles. Vasoya pleaded guilty to illegally dispensing CDS, and was sentenced in February 2009 to 57 months in federal prison. The Board of Medical Examiners revoked his license in November 2008. For more information on the New Jersey Division of Consumer Affairs' initiative to halt the diversion and abuse of prescription drugs, view the Division's NJPMP website atwww.NJConsumerAffairs.gov/pmp, and the Division's Project Medicine Drop website at www.NJConsumerAffairs.gov/meddrop.